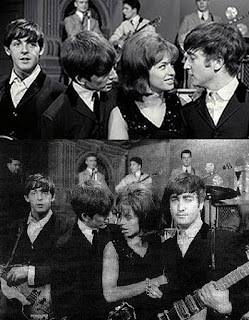 News have reached us that Swedish singer Lill-Babs (real name Barbro Svensson), here depicted with the Beatles during their appearance on the Swedish TV-show, «Drop In» in 1963, passed away April 3, at the age of 80. During the show, Lill-Babs performed her Swedish language version of Lesley Gore's hit, "It's My Party" as "Leva Livet". 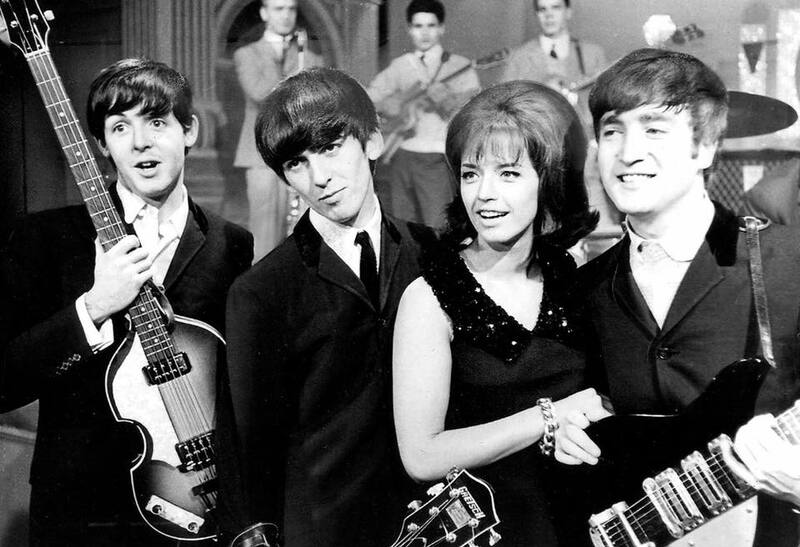 The Beatles recognised Lill-Babs as a celebrity, because she also had a career and was a well known star in Germany. Interviewed by the Swedish press, she claimed that the Beatles asked for her autograph, but she didn’t ask for theirs. They certainly posed for a few photos with her. This photo is usually cropped a bit closer elsewhere on the net. The Beatles may have tried to flirt with her (especially George, it seems), but she thought they were a bit young. After all she was two years older then the older Beatles, Ringo and John. Interviewed by the press, she said that she was intrigued by the length of their hair and that she taught them to dance the Twist. 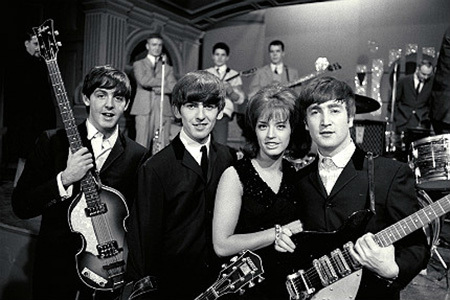 Lill-Babs kept busy as a singer and entertainer with performances, and she was also a popular visitor to Norway. In fact, I happened to pass her on the street just a couple of years ago, when she was booked to perform in my home town. She continued to perform until just weeks before she was hospitalised with a heart condition. An aggressive cancer was then detected, eventually causing her death. Rest in peace. 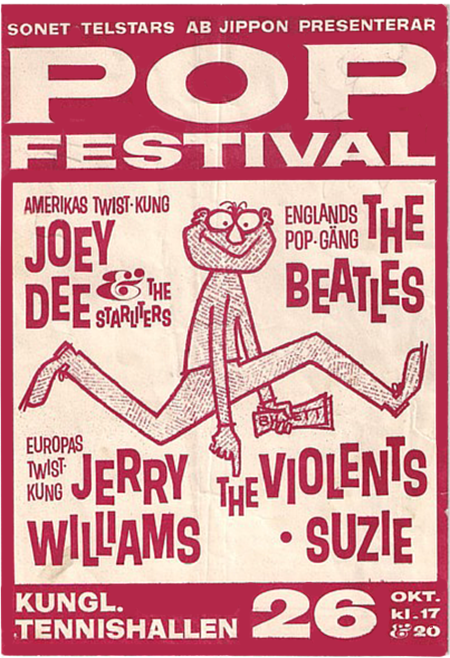 This was announced just a week after the death of another Swede associated with the Beatles, Jerry Williams. Born Sven Erik Fernström, Jerry performed at the Star Club in Hamburg in 1962, at the same time as the Beatles, who he met there for the first time. 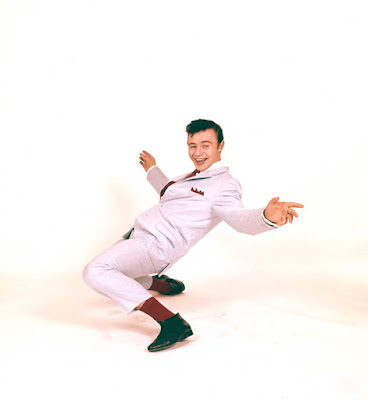 Not very impressed with their stage act and performance of mostly cover versions, Williams thought they had improved a lot when he was booked to open for them during their tour of Sweden in October 1963. At the time, Jerry was handling the vocals for The Violents but was billed separately, as he was a big name on the poster. Jerry Williams continued in show business (his version of Lennon's Working Class Hero is available on YouTube), until his farewell tour in 2013. Born April 15, 1942, Jerry passed away from cancer on March 25th, 2018. Rest in peace. Thanks for the info and link, that's a remarkable version of Working Class Hero.